Award-winning Vidal at Icewine Festival! Icewine Festival was a hot topic this year! With a great turnout, mild weather, delicious icewines and tasty treats...everyone had a great time. Pondview's very own Kylee Slade was pictured in the Niagara Advance which highlighted our Double Gold Award Winning 2014 Vidal Icewine. You can find the issue here. She and all the Pondview staff had a great time pouring our award winning icewine for the 2017 festival attendees! 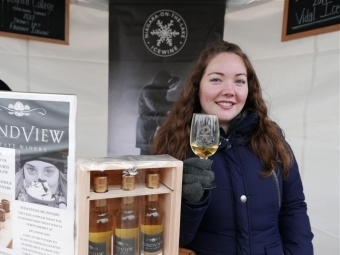 Didn't get a chance to attend this year's Icewine Festival? 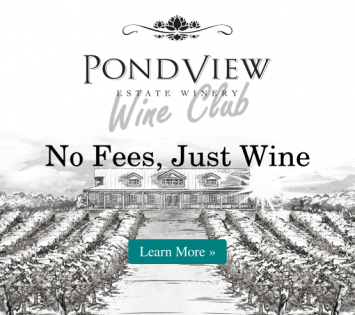 You can still try our icewines at our tasting bar or order them online to taste on your own! We look forward to next years Icewine Festival!